Made in Hawaii with 100% Hawaiii grown macadamia nuts from the Big Island. 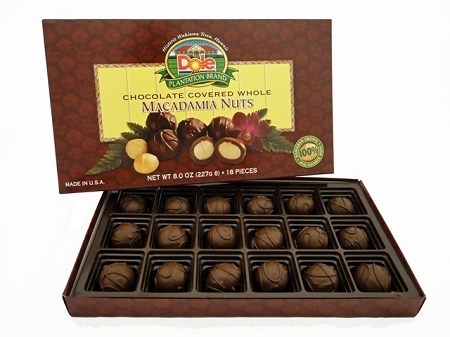 Experience rich milk chocolate enrobed around whole macadamia nuts. Exclusively produced for Dole Plantation by Hawaiian King Candies.